Porsche announced that the newest member of its hybrid lineup will become available towards the end of this year. The Panamera S Hybrid is the second vehicle of its kind to be developed by the German manufacturer. 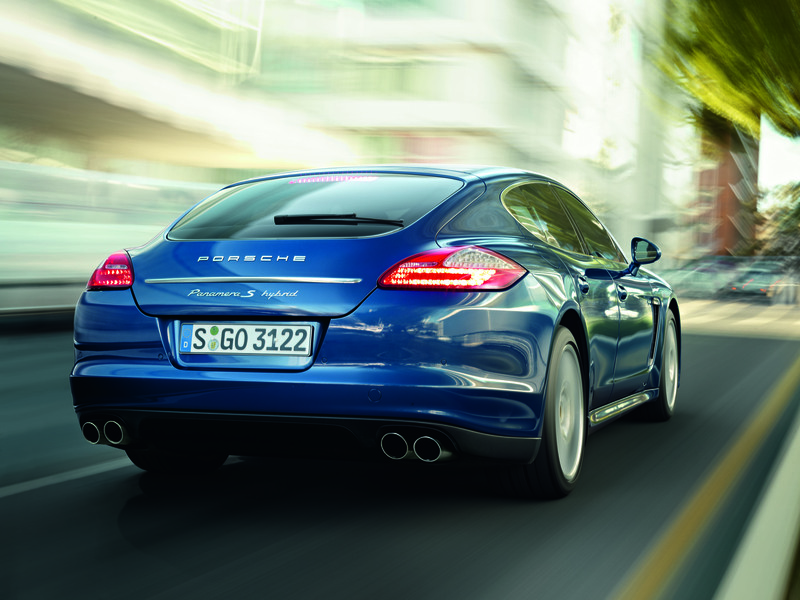 The Panamera S Hybrid is not only a hybrid, it’s the most fuel efficient Porsche in history. The Panamera S Hybrid is capable of producing a total of 380 horsepower; 333 via a 3.0-liter supercharged V6, with the remaining 47 being produced by an electric motor. The electric motor powers the vehicle until it reaches just north of 50 mph. This allows the Panamera S Hybrid to accelerate from 0-60 mph in 5.7 seconds and top out at 167 mph. All this power is controlled via the 8-speed Tiptronic S transmission. Being that this is a Porsche, the interior comes as well designed and engineered as the exterior and mechanical components. The Panamera S Hybrid is equipped with Porsche Active Suspension Management (PASM), Porsche Communication Management navigation system (PCM), and bi-xenon headlights. The PCM has a special display, unique to the Panamera S Hybrid, that allows the driver to actively monitor the vehicles hybrid and electrical systems. The Porsche Panamera S Hybrid is scheduled to go on sale towards the end of the year, with a base MSRP of $95,000.